There are several types of mold, and some are more harmful than others. Learn about the types of mold that are hazardous to your health and start preventing exposure to them today. Everyday, our team speaks with homeowners and business owners who are confused about mold and how it can harm them, which makes it an excellent blog topic. Part of the confusion about mold – how it affects one person differently than the next – exists because mold can harm humans in several ways rather than one. Some people are simply naturally allergic to mold, whereas others may not be able to fight off the normal pathogens it produces. Some mold produces deadly toxins that are intended to kill other organisms, to ensure survival. These types of mold can be divided into three categories. 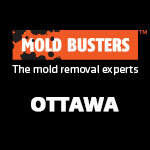 Allergenic molds affect people who have certain allergies or asthma. When people who are allergic to mold are exposed to it, they have a hypersensitive reaction, during which an excessive number of mast cells are activated, resulting in an extreme inflammatory response in the respiratory system. About 20%-30% of the population is susceptible to mold and/or other allergens, which can lead to reactions like allergic rhinitis. Most people without allergies are unaffected by allergenic molds in small amounts. 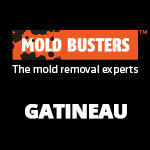 Pathogenic molds are capable of causing certain infections or diseases. Most healthy individuals, with their immune systems in good shape, are able to regularly fight off pathogens. However, pathogenic molds are dangerous to people who have compromised or weakened immune systems, which is why pathogenic molds are considered an opportunistic pathogen. Pathogenic molds most commonly affect infants, the elderly and people with suppressed immune systems. Toxic molds produce mycotoxins, poisonous chemicals that are dangerous to humans. Unlike allergenic and pathogenic molds, toxic molds intentionally harm other living things rather than the harm merely being a side effect. Some of the most deadly chemicals on the planet are mycotoxins. They’re found both on mold and on mold spores. People can get exposed to mycotoxins via ingestion, dermal exposure (skin contact) and inhalation. This can lead to temporary irritation or even long-term illness depending on the individual. No matter what type of mold you’re dealing with, it’s best to remove the problem as soon as possible, even if no one has fallen ill yet. Also, if you have mold, then it’s very likely you have a moisture problem that will eventually contribute to even more mold growth. 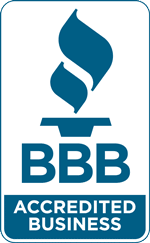 Protect yourself and protect your family from >toxic black mold. If you suspect it’s present in the space you live and breathe, promptly have it inspected and removed. 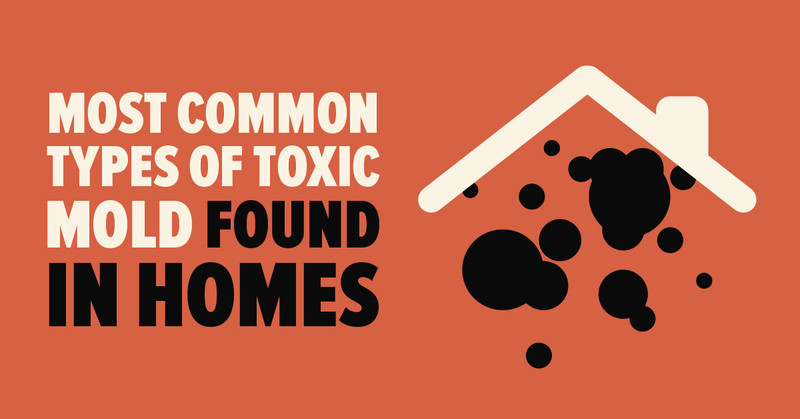 The term “toxic mold” and its meaning is often misunderstood. According to the Center for Disease Control (CDC), mold that’s referred to as toxic mold is not toxic on its own. However, this species is capable of producing chemical substances called mycotoxins, which are harmful to the human body. There are over 100,000 species of mold, according to scientists’ research. Some species are harmless but others produce mycotoxins that are so dangerous that they can be used for biochemical warfare. There are several types of mold, some being more dangerous than others. Pictured is Stachybotrys, otherwise known as toxic black mold. 1. Stachybotrys. 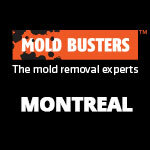 Stachybotrys is otherwise known as black mold and is one of the more harmful toxic mold species. Black mold is usually found inside a house. The mycotoxins that this species of mold produce can cause the lungs to bleed, which is fatal to animals and infants. The problem with black mold is that it’s hard to detect; it usually develops behind walls and under ceilings and is resistant to regular air sampling. 2. Memnoniella. Memnoniella, also referred to as black mold, is similar to Stachybotrys and has the same effects. Memoniella differs in that when viewed under a microscope, its spores are released in chains, whereas the spores that Stachybotrys releases are in clumps. 3. Aspergillus. 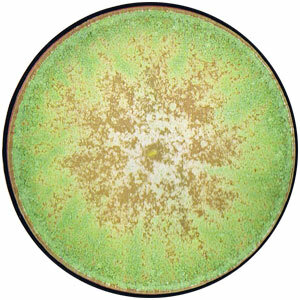 Aspergillus are gray or green flecks and appear on wooden surfaces. Aspergillus, with 20 species in total, is dangerous, because it will often cause allergies, leading to serious asthmatic reactions, hay fever or lung infections. Every Aspergillus species produces mycotoxins, which are a health hazard, especially for those individuals with compromised immune systems. 4. Penicillum. There are many species of Penicillum – some beneficial and some harmful. Some species of Penicillum are used when producing cheese and medicine. Similar to other molds, Penicillium causes allergies, and it’s especially troublesome for people that already have a weak immune system. 5. Alternaria. Alternaria is one of the most prevalent toxic molds and includes many species. Asthma and hay fever are among the conditions one might suffer or suffer worse from when he or she has inhaled Alternaria spores. 6. Geotrichum. 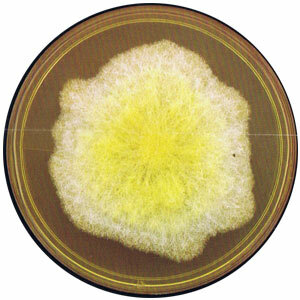 Geotrichum is white in color and usually appears powdery. It is known to spread pretty fast and is often associated with adverse health conditions such as tuberculosis and pulmonary infections. Geotrichum breeds in moist conditions and temperate climate. Its spores can easily spread via air to new environments. It is an allergen that causes itchy eyes, fatigue, and sometimes chronic headaches. 7. Trichoderma. 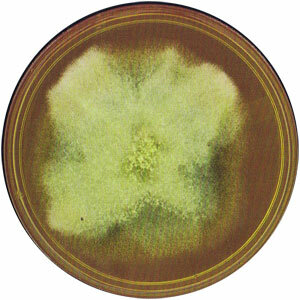 Trichoderma is also white in color with green patches. It is an allergic type of mold that mostly thrive in moist areas. The mold has five different subspecies, most of which are non-pathogenic. However, some of the subspecies have been associated with liver and pulmonary infections. Trichoderma contains a lethal enzyme, which can destroy such building materials as wood, textiles and paper products. This may lead to the crumbling of buildings when the materials rot. 8. Chaetomium. Chaetomium is also allergic and is often found in a drywall that has previously been damaged by water. Its spores have been linked to autoimmune diseases, neurological damage and allergic reactions such as difficulty in breathing and red watery eyes. It has a musty odor and flourishes in wet, dark environments such as under carpets, drywall, baseboards, and wallpapers. Chaetomium is often mistaken for the black mold as they have the same characteristics and exists in similar environments. 9. Bipolaris. 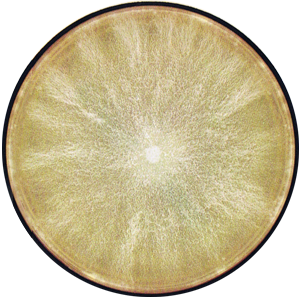 As it begins to grow, bipolaris is whitish or grayish brown in color, but gradually turns to dark olive as it ages. It looks soft and fluffy and usually grows outdoors on grasses and soil. It also thrives in water damaged materials such as carpets, hardwood floors, and houseplants. The bipolaris grows rapidly and only takes about five days to mature. It is a well-known allergen and may cause asthma, wheezing, stuffy nose and coughing when its spores are inhaled. 10. Ulocladium. Ulocladium is black in color and often found in wet areas and homes that have suffered water damage. 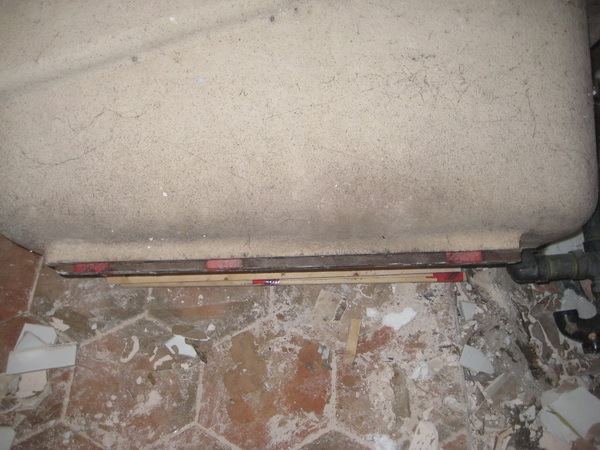 This type of mold commonly grows in bathrooms, basements, and kitchens. Ulocladium has two subspecies both of which are highly allergic. It is linked to severe allergic reactions such as hay fever and sometimes skin infections. Prolonged exposure to its spores causes difficulty in breathing and asthma-like symptoms. 11. Fusarium. 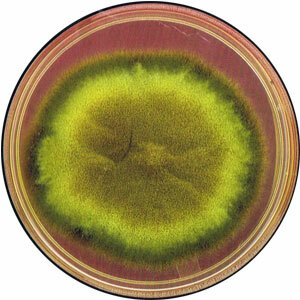 Fusarium can range from pink, reddish or white in color. It is capable of adapting to colder temperatures and mostly grows on food products, compost, carpets, wallpaper, and any other water-damaged materials. Exposure to this mold can cause allergic reactions, including a sore throat, dermatitis, itchy eyes and running nose. Further exposure can cause lethal conditions such as brain abscess and bone infections. Its toxins can damage the nervous system and cause internal bleeding. 12. Aureobasidium. Aureobasidium is also allergic and may cause skin, eye and nail infections. It is normally pink, brown or black in color, but gradually turns to darker brown as it matures. This type of mold grows in wet and water-damaged areas as such behind wallpapers, wooden surfaces, and carpets. 13. Cladosporium. Cladosporium can survive in both cold and warm environments. It commonly grows indoor in carpets, fabrics and under floorboards. It is brown in color or sometimes olive-green with a suede-like texture. Exposure to its spores can cause a variety of allergic reactions, including itchy eyes, running nose, sore throat, and skin infections. It is also associated with asthma, sinusitis and lung infections. 14. Ascospores. Ascospores thrive in damp substrates and other water damaged indoor areas. 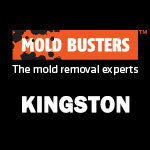 It is one of the most resistant types of mold. Even after drying a wet surface, it may continue surviving until it finds another conducive environment for growth. It is commonly found in labs where it is spread by infected animals. Ascospores come in different groups such as Dermatophytes, which can destroy keratin-based materials such as nails and hair and the Histoplasmacapsulatum, which is specifically resistant to dry conditions. 15. Basidiospores. Basidiospores are usually spread through the wind and released when there is humidity or rain. It mostly grows outdoors in woodlands, gardens, forests and indoors on damp environments. They only grow indoors in rare cases when they are brought in through open windows, doors, pets or clothing. 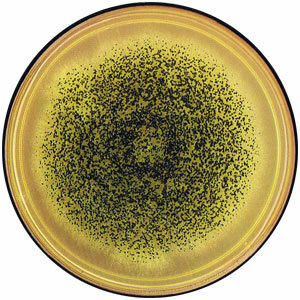 Basidiospores are also allergens and may cause such reactions as asthma, hay fever, and Lycoperdonosis, and can be identified by sampling the air. As you can see, there are quite number of common mold species. Some are difficult to clean and some are tricky to detect. However, it’s important to find and identify all mold in your home, as mold can seriously threaten your health and the health of your loved ones. The safest, most efficient way to detect mold is to have a professional mold inspector visit your home and carry out mold testing. Black mold. Black mold is a general term used to refer to a species of mold that is dark-green, gray or black in color. They grow in moist, warm environments such as kitchens, basements, showers, toilets, and baths. Most of the black molds release toxins which cause allergic reactions in humans, such as itchy eyes, itchy skin, nose stuffiness, wheezing and coughing. More severe symptoms are headaches, exhaustion, fever and difficulty in breathing. White mold. White mold refers to species of mold that are white in color. They mostly grow in water-damaged areas in homes and include Aspergillus, Penicillium, and Cladosporium. These molds are usually white because their spores are not pigmented. Failure to have spore pigmentation is usually as a result of the type of material or surface it is growing in. White molds are mostly powdery and quite hard to identify since they blend with the material they are growing on. Yellow mold. Also commonly known as slime mold, this type of mold is yellow in color and appears as bright slime. 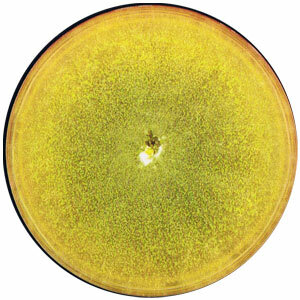 Some of the molds that produce yellow hue include Aspergillus, Serpulalacrymans, and Meruliporia. They mostly grow and breed on wooden surfaces, food materials, walls, bathrooms, and tiles. Although yellow mold does not pose any serious health risks to healthy adults, they may infect children and people with immune system complications and respiratory problems. Green mold. There are thousands of green mold species, most of which pose significant health risks. 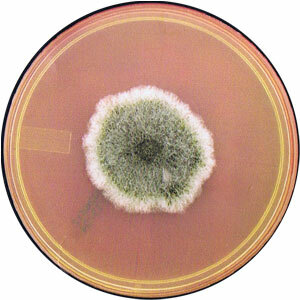 Aspergillus, Cladosporium, and Penicillium are the common types of molds that produce green hue. 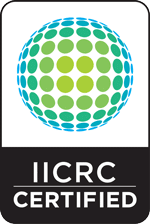 Their color is often caused by the material they grow and feed on, the climate, or the region they live in. Green molds produce mycotoxins and are generally health hazards. Like the other types of molds, they are allergic and are associated with watery eyes, itchy skin, sneezing or coughing. Orange mold. These are species of mold that are orange in color. When they start to grow, they form tiny spots and become orange slime when they mature. They are often found in damp and humid areas like bathrooms and toilets. They also grow on wood and food products such as cheese, yogurt, and bread. Orange mold is not life-threatening but can cause significant damage to house structures and spoil stored food. Brown mold. Brown mold comprises those types of molds that are brown in color and sometimes dark yellow or tan. They look like dark patches on surfaces such as wood and tiles. Some of the common types include Pithomyces, Chartarum, Aureobasidium, and Stemonitis. They are not utterly harmful but can damage structures and their spores can affect asthmatic or allergic people. 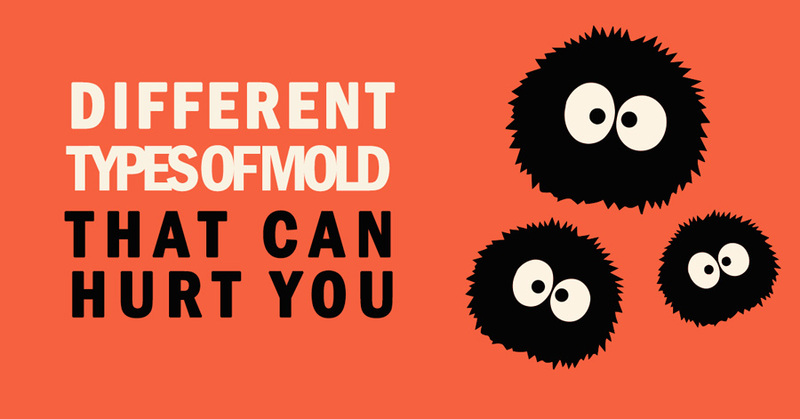 Different types of molds come in varying colors and often spark distinct allergic reactions. Although some species are easy to identify and eliminate, some require the help of mold remediation experts in order to avoid infection risks.